1ti Bochor Ghure Elo Abar Pohela Boisakher Din,Sudhu Ai Dintar Jonno Ami Opekkha Korci Kotodin,1ti Priyojon Pabo Bole Thaki Ami Bose,Ke Amake Ful Dibe Onek Valobese..!Suvo Noboborsher Suvessa..! Lageche Bangalir Gore Gore A Ki Maton Dola,Lageche Surer Oi Tale Tale Hridoyer Maton dola.Pantha Elisher Suvhase Mon Vore Utlo Je.Lagiye Romoni Khopate Beli Ful, LovesmsBD.com Bosonter Sokale Kokiler Dake Ghum Vanglo Re Alore Alore Pohela Boishakh Alore.SUVHO NOBOBORSHO. Shuvo!! Shuvo!! Shuvo Din Elish Mach Kine Nin, Khabo Elish Boisakher Din. R Matro 1din Asiteche Oi Din. Bondhu Sobai Theko Valo Amay Sudhu Mone Rekho>>>Shuvo Noboborso<<<. 2013:Ha Ha Ha. 2014:Kire Chole Jacchis Hascis Je, Tor To Kadar Kotha? 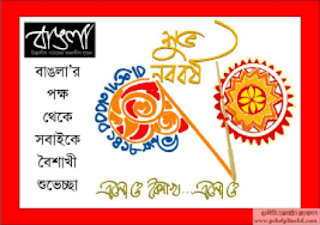 2013:Ami2 Hortal & Oborod Theke Bece Geci Tai, 2014:Tar Mane Amar Bipod.Happy New Year.